Within the framework of Talent Day of the Barcelona Design Week, the Disseny Hub Museum hosted on 13th June 2018 the initiative jumpthegap®(talk), which was attended by the national winners of different editions of Roca’s international design competition jumpthegap®. The meeting consisted of a dialogue between the awarded designers and architects and Xavier Torras, Brand & Communication Director of Roca. 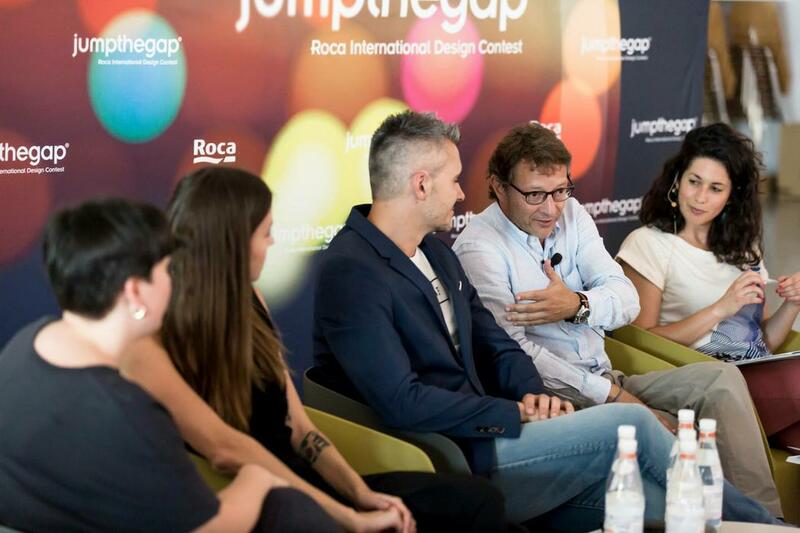 The national talents of jumpthegap® explained how they had been able to take the leap and stand out among the hundreds of proposals to win one of the most prestigious design competitions. David Benito and Laia Guardiola, who were the winning proposal of the first edition of the competition in 2005 with their project Liquified, were present, along with Alberto Nogueras, winner of the second edition of 2007 with the project Watermassage; Sanna Völker and Marta Cuquet, who won the first prize in the 5th edition in 2013 with Still You; and Denis Lara, who won the first prize in the Student category in the last edition of the competition with the project Lambda. During the meeting, the young designers and architects explained what had been the reason that led to their participation in this competition. They also highlighted that being valued by a prestigious jury made up of renowned architects and designers provided them with a boost of confidence to start their professional careers. The national talent from jumpthegap® also talked about how the bathroom space of the future will be. Xavier Torras exposed that that “having all these national talents gathered here today is something Roca is proud of, and, above all, knowing that the competition has helped them in their professional career”.